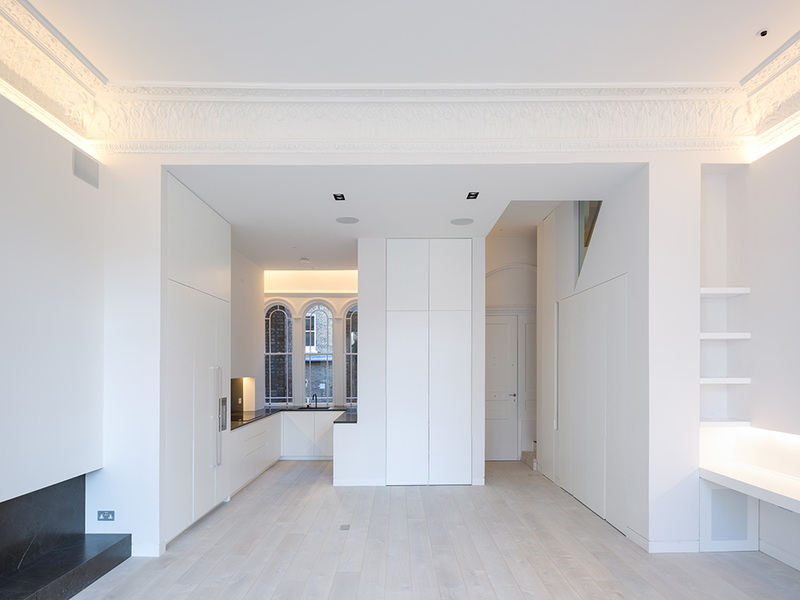 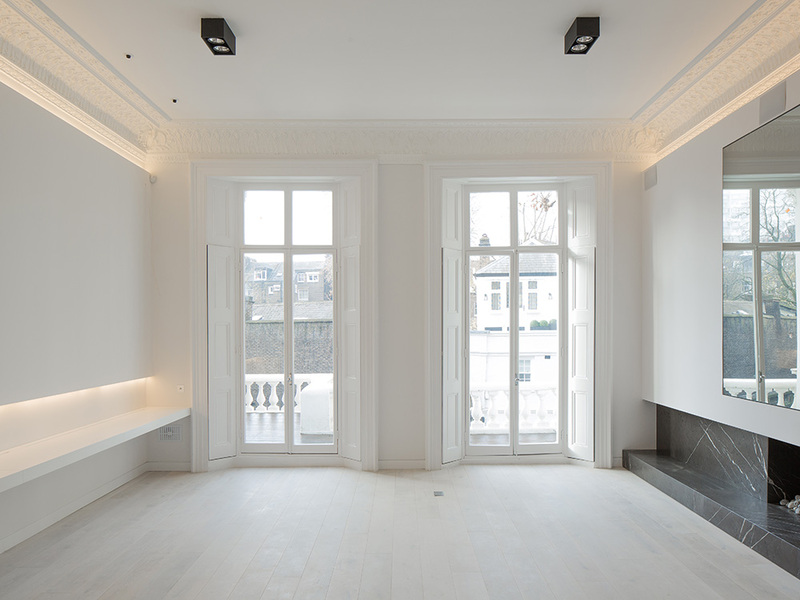 Renovation of converted property containing four individual flats. 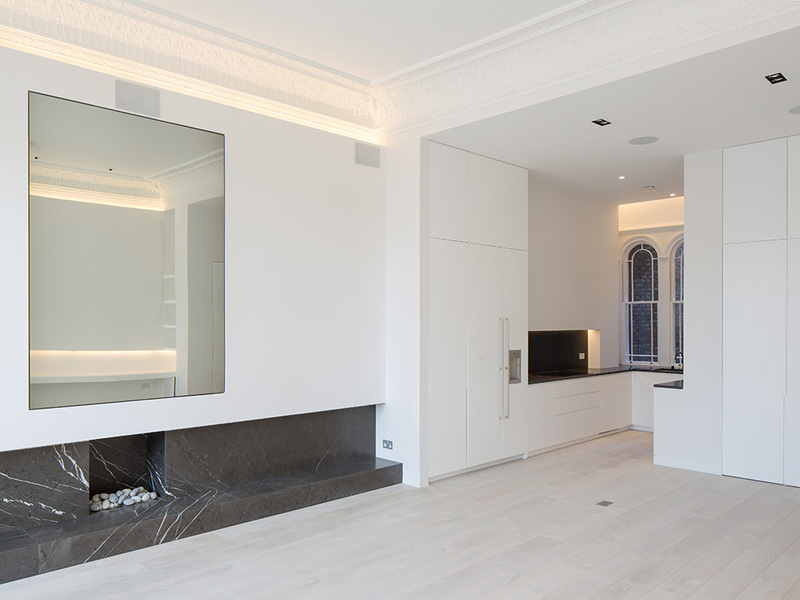 Flat Two is a duplex flat characterised by tall ceilings and benefits from a balcony to the front, overlooking Linden Garden. 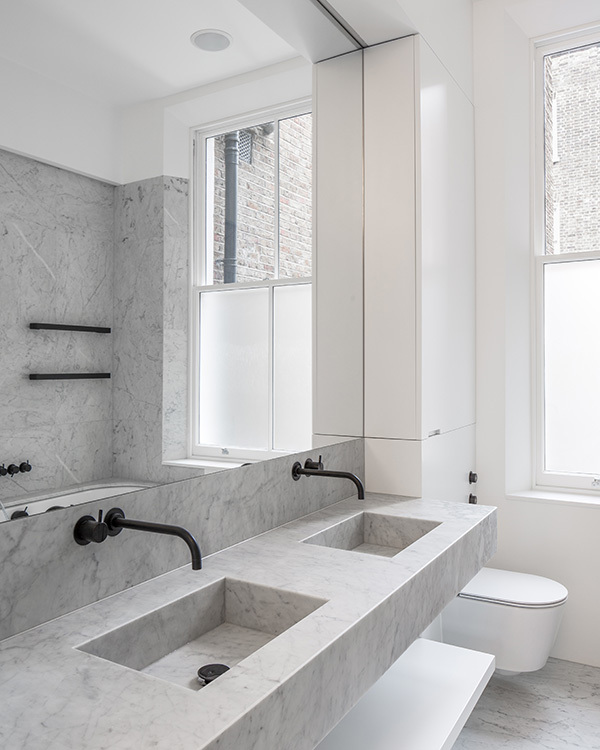 The clean and architectural style of the flat has been accentuated with the use of natural marble stone, with the white washed flooring adding a modern finish. 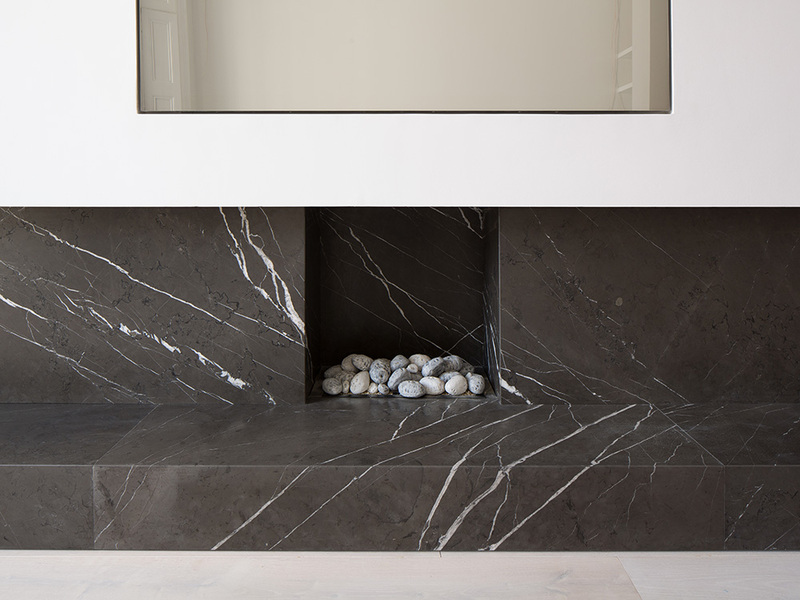 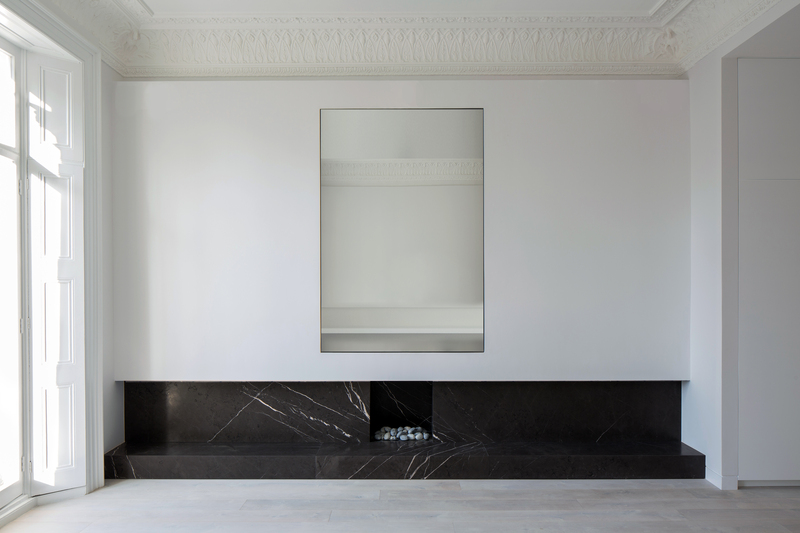 Materials: Imperial Grey marble, Bianco Carrara (C grade) marble and white-washed timber flooring.